Or, do we have the ability to shape our lives? I believe we do have the ability to shape our lives. You build your life thought by thought based on your desires. Your desire to have, be or do something is the first building block in the life you wish to create. Each additional thought about your desire is another brick toward manifesting it. The mortar holding these ‘bricks’ together are your emotions. When focused energy in the form of your thoughts and emotions comes together the thing you desire to have, be or do appears in the physical dimension. The manifestation process doesn’t happen randomly. It’s a very real and organized system in the Universe that operates with precision each and every time for each and every single person on the planet. The only way it would appear to be random and disorganized would be if your thoughts and corresponding emotions were random and disorganized. If your thoughts are disorganized and run the show, meaning you allow your thoughts to lead you no matter how far off the path of what you wish to have in your life they take you, then your life will reflect this. When you let your thoughts run the show you also give your emotions free reign as well. Thoughts and emotions that pull you off course all the time will manifest as events and situations in your life you don’t want. These events and situations may not necessarily be “bad” but, they won’t be what you had in mind either. For example, say you had a strong desire from a young age to be a doctor. But, you ended up in a career as a paramedic. What happened? Perhaps, every time you had a thought about becoming a doctor your mind threw in all kinds of unwanted thoughts such as, it’s too hard. Or, I’ll never be able to go through all that schooling. I can’t possibly get into medical school. Who’s going to pay for it? I don’t have that kind of money and neither do my parents. All these fearful thoughts pulled you off course. They didn’t add another brick to the framework of your being a doctor at all. The effect they had was to stall the progress of the thought form you were building around being a doctor indefinitely. The extraneous thoughts forms are like half built abandoned buildings scattered around the landscape of your mind. They’re random and uninhabitable and add nothing toward achieving your goals. If you want your life to be the reflection of what you had in mind rather than a series of random events you have to discipline your mind. When you learn to discipline your mind you’ll also gain control over your emotions as well. The two go hand in hand. To achieve your goals you’ll have to work hard, study hard and take action as well as discipline your mind. You’ll also have to be willing to learn from mistakes and failures. No matter how much we train or minds to think correctly we still need to take action. To help make your goals come together more easily though, be sure that your mind is focused on the end result. Don’t allow a lot of half built thought forms to litter the landscape and stall your progress. 1. Write down your goals. Evidence supports that people who write down their goals are more likely to achieve them. Don’t spread yourself too thin by making the list to long. Stick to 5 goals maximum at a time. I’m so grateful that today my life includes…..
Make a list of the top things you’re working toward in your life. Write this list on an index card and tape it somewhere you’ll see it everyday, like the bathroom mirror. Include the affirmation you created on the index card too. Review the list and affirmation each and every time you brush your teeth – at least twice per day. 2. Keep your enthusiasm high. Allow yourself to be excited by the goals on the list. Feel your enthusiasm rising each time your review the list of your goals. You might even end reviewing the list by throwing your arms up in the air and cheering: Woo hoo! Just be sure to be excited. If your enthusiasm wanes or you have doubts and fears surface about completing your goal immediately begin repeating your affirmation. Don’t let the negativity and fear settle in for too long. 3. Visualize your goals as completed. Spend at least 10 minutes every day seeing your goals accomplished. When you meditate end your meditation with a mental movie that you see in your mind’s eye of you living your dream. If it’s a career you’re after “see” yourself successfully working in this career, for example. Feel the joy and sense of accomplishment you have at being successful in this career. Do this for each of your goals everyday. 4. Create a vision board for your goals. Find photos and words in magazines that illustrate your goals as complete. Paste them onto poster board. Keep the vision board somewhere you’ll see it everyday. Allow yourself to feel thrilled by this depiction of your ideal life each time you gaze upon it. Now that I’ve accomplished (list the 5 goals) a typical day in my life goes like this….. Date the letter for one year from now. Put it away in a safe place and open it on that date. You’ll be amazed at how much you accomplished in that year! When you incorporate these 5 tips into your daily routine you’ll train your mind to focus on seeing your goals as already accomplished. The more your mind believes in your success the more you increase your chances of achieving it. What successes are you looking to create in your life? Can you see how these exercises help focus your mind on the end result? Are you using any now or do you plan to incorporate them into your life? If you enjoyed this article please share it on Facebook or Twitter. Thank you so much for getting the word out about PbI. P.S. 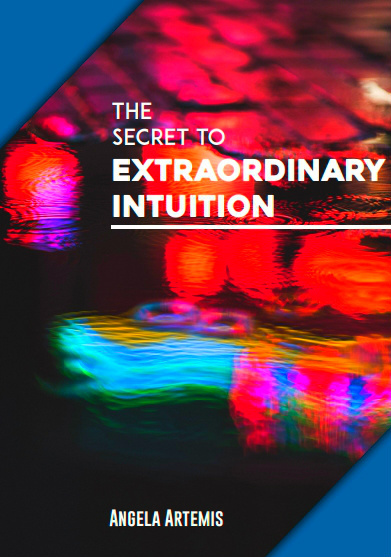 Subscribe to my newsletter and updates and receive your free ebook, “The Intuition Primer,” as a thank you gift from me. Maybe it’s the day after Valentine’s Day blues? I’m glad you feel better now though! Not sure why, Angela, but I feel a little low today and can’t quite pinpoint the reason. I tried analyzing it, but couldn’t actually think of anything. I generally make a “T” chart when I feel like this, with all the minuses on the left and the pluses on the right – and always end up with a very long list on the right. That instantly makes me happy and I get on with the day. Yet, today, even that did not give me my usual high. Your post did it. I am back in focus. Thank you. Sniff, sniff. I’m so glad you got a lot out of this post. It’s a pleasure to have you visit us.. Yes, I believe we are pulled toward what we have to learn in life. If we keep resisting this pull it only makes our life harder. I do all of the above except No. 5. I do not write myself a letter; however, I do begin with the end in mind. I see myself as already having the thing(s) that I desire. It’s a pleasure meeting you. I’m glad you enjoyed the post too. I’m sure many people have heard of the first four tips but I found out I surprised quite a few people with that last one. Glad to be able to offer a new take on how to reach the subconscious and instill a new success practice. I think that if you are doing what you love than the hard work is easy. So I think our goals should be built on that which makes you feel good. Yes, that is so true. I know when I have to force myself to do things I don’t really enjoy it feels much harder than it is. I’d much rather devote my time to doing something that makes me feel good too. I had to stop by after seeing all your comments on the blogs I enjoy and especially after reading Lisa’s post thanking you. I am a huge believer in the power of thoughts as well. I tackled Leukemia twice and a big part of the success was through my willpower and thoughts. I’m glad I FINALLY stopped by. How wonderful to meet you. I’m so glad you stopped by too. OMG! You have, obviously, a strong will and disciplined mind to have beat leukemia twice. Congratulations. What an example you can be for us too. Thank you so much for adding to the conversation here with your comments. Indeed agreed, Angela. When it comes to successful living their is no such thing as “luck.” The only reason people don’t get all they want out of life is because they are unwilling to do the “work”. We are the initiating forces in our lives, if we don’t experience this it is for one of two reasons: mental idleness or physical idleness. Intelligent will combined with intentional action open us up to our unstoppable nature. I agree with you when we want to be successful we have to work toward it both mentally and physically. We can’t be idle in either of those two areas and expect the heavens to open up just because we wish it. I do believe that we make our own luck though. If we have the right frame of mind about what we wish to achieve and it is for our “good” and the good of others, I believe we will encounter more fortunate coincidences that support us in our efforts than someone who has no goals and is “idle” as you put it. 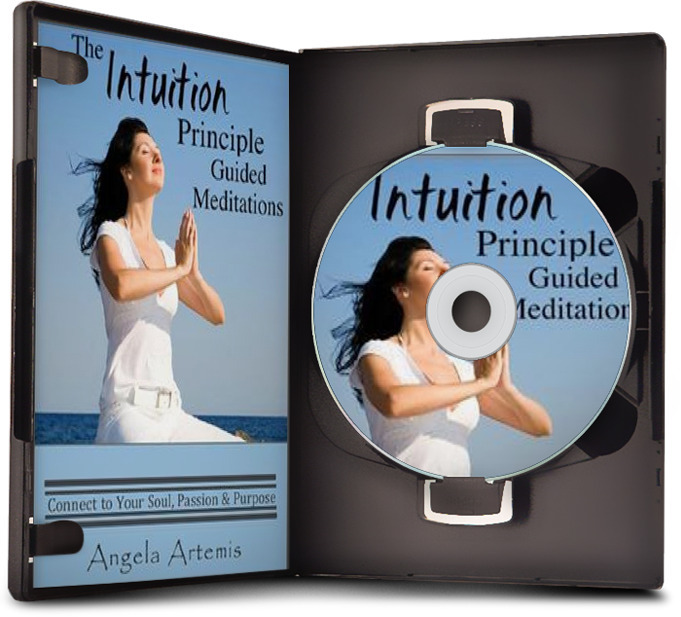 What I find most amazing about the intention manifestation process, is that it’s so pervasive. Even people who don’t call intention manifestation are pretty much doing the same thing. For example my dad is a Christian who watches a lot of TBN and so on. I’ve listened to the way he describes high praise, and it’s essentially intention manifestation + religious aspects. If you take away their religion is still a process of emotionally charged visualization. I’ve been watching my thoughts a lot lately and it seemed to have a great impact. Wow, that’s a great observation about your Dad. It’s true though. You know that Joel Osteen guy? He’s doing the same thing in through his ministry and best selling books. Same technique just a different name. I’m glad you see the benefits of disciplining the mind too. 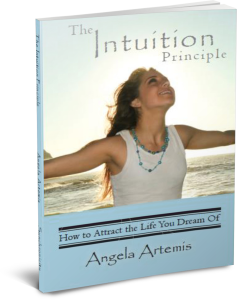 Angela: I loved this post and I am in 100% agreement that you can shape your life. I think the challenge is realizing exactly how to do that and I love all the advice and pointers you gave us here. It really is so helpful and I totally appreciated your advice to make certain you have a disciplined mind. Really great point. I’m so glad you enjoyed this post. I’m happy you found my pointers helpful too. Disciplining your mind is definitely ‘primo’ above all else. What good does it to do to do all the other steps but undermine everything with wild uncontrolled thinking. WOO-HOO Rock On Angela! You have mastered a complicated mission – explaining law of attraction, mental discipline and how we choose our reality and create our path in one post. It can feel wildly daunting when we look around and fail to see that we can succeed with something – when the signs show anything but success – yet with right minded thinking and those important disciplines of visualization, writing the goals down, writing the future reality and really staying open and connected to source – while remaining in a state of gratitude – anything can happen. It may sound simple – but it’s not always to easy to stay consistent with the practice. Amen to Science of Mind! Love it. I studied to be a practitioner for a while at my local center. No wonder you write such wonderful affirmations. I actually prefer reading the New Thought teachers to Abraham Hicks when it comes to studying the Law of Attraction. LOA is only one of many laws of the Universe – it seems to get the most attention due to the film, The Secret though. I’m so glad you enjoyed the post and thank you for such a lovely compliment too. Thanks for the wonderful advice! I think all of these tips connect to one another. A big one for me is keeping my enthusiasm high. This can be a challenge for me at times. I think by focusing on my long-term vision and visualizing all the benefits of my completed goals as you mention I can maintain motivation and enthusiasm. Thank you. I’m glad you liked the post. I feel the same way. Keeping your enthusiasm high is often difficult. It’s like anything else in life. You get a new car and you feel excited – for the first few weeks – than after than it’s just a car again. I think it’s the same with our enthusiasm for our projects. That’s why I try to get myself excited about it every day by doing a little happy dance, or saying Woo-hoo when I think about it. Focusing on the feeling of joy and satisfaction at having accomplished your goal can also help keep your enthusiasm high too. Hi Angela this post has been a nice reminder its good to go over the core. Let me tell you what I really like, number 5, Write a letter to yourself. I’ve never heard that one before am glad I come over -I’m going to write myself a nice long letter. I’m glad you found the post useful and that you liked tip #5. Writing the letter is really fantastic. I promise you’ll be astounded at all the things that happened that were on your letter. What if I want to be a doctor and do everything in my power to be a doctor but my soul’s purpose is not to be a doctor. There’s no way it will manifest, right? I don’t believe that you’d be drawn to be a doctor unless it was your soul’s purpose. I think we’re drawn to certain things because we’re supposed to learn from doing them. If this person weren’t supposed to be a doctor I believe he or she’d be drawn to do something else, like perhaps be a chef or something? How can we know our soul’s purpose unless we’re drawn to do something in particular – you know? – Where you recommend we say: “I’m so grateful that…” I’ve found that is an excellent way to start most affirmations. Something about it just tweaks the energy just right. I’m glad you shared that with so many people and hope they actually try it. – I love that you point out “No substitute for hard work.” Somehow action has gotten a bad rap in recent years in some circles. I think a combo of that and our more subtle tools is just perfect. – OK, 3 comments. Thanks for that list of 5 exercises. They sound like they will be really helpful and I’ll write it down as one of my goals to actually do them ;-). I’m glad you liked this article. 3 comments from you is totally allowed! I think gratitude is one of the Universal laws that is not as well known as the Law of Attraction. Gratitude is powerful as is hard work! When we visualize our dreams on a daily bases we can achieve them. I’m so glad you found the article helpful. I think visualization is so under-appreciated in the whole Law of Attraction fad. When we see our goals as complete our mind is imprinted with the this image. Thank you so much for visiting and commenting. It’s a pleasure to see you. I’m so glad you enjoyed the post. 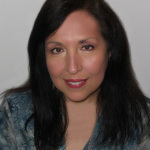 You’re the expert in LOA – so I truly appreciate the compliment. Thank you so much for stopping in and visiting. I’m not a big follower of Abe and the gang, which is why I love reading your blog. You can do the reading for me and I’ll enjoy learning from you. I like what you said about “no substitute for hard work”. I think a lot of people have been mistaking that applying law of attraction does not involve any physical work at all. On the contrary, work is still required. Struggle, on the other hand, is unnecessary. My immediate goal is to finish my project on self-love. It seems to take forever. However, I know that it cannot be hurried. Still, I am hoping that I will be able to finish it soon. Oh yes, I have already made a vision board for it; although I will need to update it for some new details. Thank you for your tips on strategies for success. You have provided me with a great reminder on your tip for strategy #3! Much appreciated! You have a great post on vision boards. I linked to it in another article I wrote. I’m slow too……but I like to think I’m also “steady!” So, hopefully I’ll win the race too. Your project on self love was awesome. Thanks so much for asking me to be a part of it. Thanks for this great article. I particularly like the part about writing a letter to yourself. It is something really different from what I have tried. I do have difficulties in mastering my emotions though. How can we effectively switch from negative to positive moods? I’m happy you liked the article. I also like the writing of letters to myself. I’ve been doing it since I was a girl. I was always interested in preserving history so I’d write to myself about my own life so I wouldn’t forget when I grew up. LOL. The thing is as I got older I started to see how much of what I wrote about had happened. Mastering emotions is hard for most people. The best advice I can give you is to learn to meditate and do it religiously each day for at least 20 minutes. When you learn to sit in silence and observe your thoughts and emotions you’ll also see that you don’t have to react to your emotions. You can observe them and not participate in them. Learning this frees you to switch from negativity to positivity. I hope this helps? Thanks for the tip on meditation. Do you have any article on what exactly meditation is? I have been self checking myself to see if I am on the right track meditating. Currently, when I meditate, I just concentrate on my breathing. I don’t have any articles on what meditation is. I do have some on how to meditate though. I use my emotions as an indicator of what I am subconsciously thinking. Since we can’t or don’t consciously focus on our thoughts the way that we feel helps for me to decide to change my thoughts or not. Emotions are great barometers of what’s truly going on with us. You’ve found a winning strategy for yourself~! I like to think I’m able to focus on my emotions but the truth is I feel a lot of vibes that aren’t my own much of the time so, I’ve learned to focus on my thoughts more. I know when I’m upset versus someone around me based on what I catch myself thinking. Great way to phrase it and to think of it. I know from personal experience that, when you take control of your mind and consciously direct your thoughts and emotions, your whole life will, in turn, change for the better. I like to think, that, in this way, I am creating the future for myself. I’m glad you liked the article and got something useful out of it. I really do believe this with my heart and soul. We do create our reality by what we think about over and over. I believe you are truly creating a future for yourself in this way Deb! I like to think of training my brain like training a puppy! Great post. We do have to ‘work’ at success in our lives. Is starts with the thoughts then build upon those thoughts with belief.Goals are important for most, they are a great starting point. The enthusiasm to cahieve them will depend on what meaning is attached to the goal(s). If it’s powerful enough, enthusiasm will be high…if it’s ‘powderpuff’ then it won’t. I wrote a “leter from the future” when I did my Life Coach Certification – powerful stuff, people should give it a try. Thanks for covering this important topic. Didn’t have my ‘spell checker’ working it would appear, sorry about that. That’s okay! I knew exactly what you were saying. I’m glad you enjoyed the post and found it useful. I agree that motivation to achieve goals plays a huge part in whether we do or not. If the goal isn’t related to our over all vision for our life we may have resistance around achieving it. I love every word of this post Angela. And I love the spirit and understanding that produced it. What a thrilling and glorious vision you evoke: that we are not alone in our petty ventures. But rightly our ventures and our thoughts and actions and manifestations evolve from the sacred heart of the universe itself. We are not as small or helpless as we may have thought, but are part of a wise and loving whole and — some paradox — the cause and nourisher of that whole. Yes, you state it so very well. We are part of a wise and loving whole that will support us as long as we take the steps to meet it halfway. When we cancel out our progress with negativity we are not holding up our half of the bargain for meeting the Universe halfway.